$500 Instant Savings. Expires Apr 25, 2019. * All prices reflect savings. Flights from Washington D.C. (IAD) are available for an additional charge. Booking the Victoria Falls pre-tour extension will require you to leave the U.S. 1 day earlier and an extra hotel night. Request pricing when making your reservation. What to Expect This moderately-paced, escorted South Africa tour includes a reasonable amount of walking or hiking and requires an average level of physical fitness. This tour also includes long scenic drives between destinations and may have limited rest stops. Explore deeper into South Africa on our comprehensive Best of South Africa small group escorted tour. 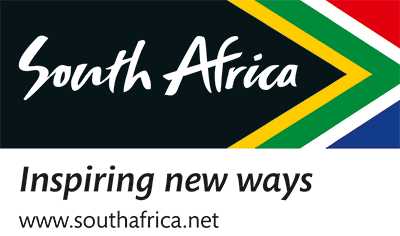 Begin your tour in cosmopolitan Johannesburg, South Africa's largest metropolis, also know as "Egoli" or City of Gold. Then head north to begin your safari in Karongwe Private Game Reserve, where you'll embark on a late morning bush walk with an experienced ranger. 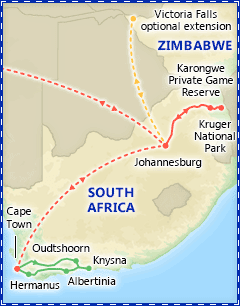 Continue your game viewing in Kruger National Park, one of the world's oldest and most famous game reserves. 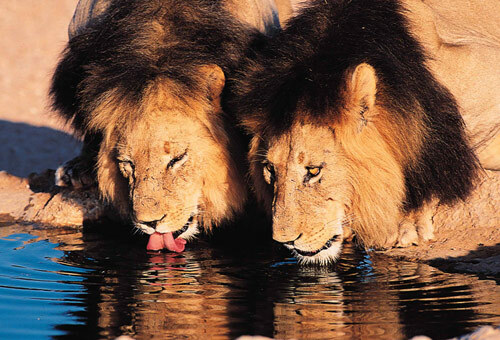 Rest assured, you'll have ample opportunities to spot the Big 5! 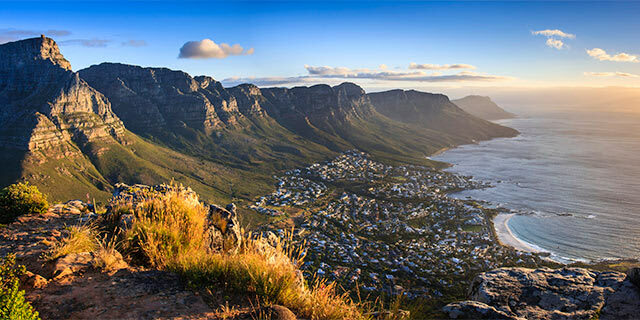 Finally, end your tour in scenic Cape Town, exploring the city's vibrant neighborhoods, storied past and incredible cuisine; then look down on it all from the top of Table Mountain. Your ticket is pre-purchased, so you won't spend hours waiting in line to buy one. Want even more? Extend your stay with a pre-tour to the majestic Victoria Falls or a post-tour to the scenic Garden Route, or both! Instant Savings: Get $500 off if you book by Apr. 25, 2019! 1. 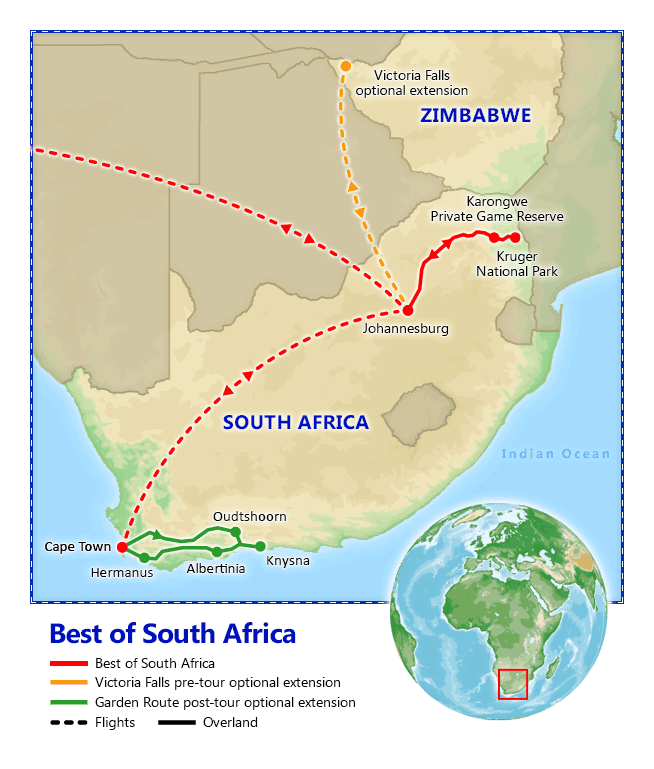 The Victoria Falls extension is a pre-tour extension. Passengers taking the pre-tour extension will depart from the U.S. 3 days before the departure dates shown above. The Victoria Falls extension requires that your flights be confirmed separately by the airlines. Please note that it typically takes 3 to 5 business days to confirm your extension flights with the airline, and that we will notify you immediately upon confirmation of the flights. 2. Extension pricing is based upon certain air class service. Final price may vary based on availability at the time of booking. 3. Zimbabwe visa fee for Victoria Falls is paid locally for US passport holders: $30 for single-entry, $60 for multiple-entry. 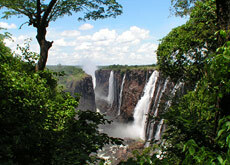 Optional excursions to Zambia or Botswana require a multiple entry Zimbabwe visa. 4. 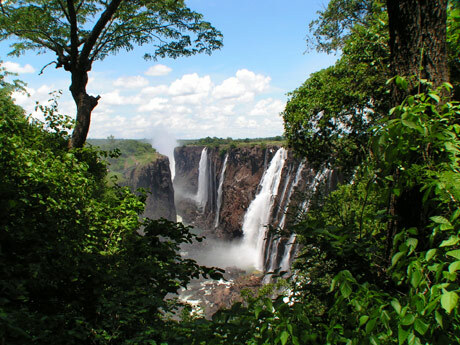 This excursion requires a passport and double or multiple entry Zimbabwe visa. 1. The Garden Route extension is a post-tour extension. Passengers taking the post-tour extension will return to the U.S. 6 days after the return dates shown. This extension requires a minimum of 4 passengers to operate at published prices. The Garden Route extensions requires that your flights be confirmed separately by the airlines. Please note that it typically takes 3 to 5 business days to confirm your extension flights with the airline, and that we will notify you immediately upon confirmation of the flights. 2. Extension pricing is based upon a certain air class service. Final price may vary based on availability at the time of booking. Accommodations: 2 nights Sandton Sun Hotel or similar, Johannesburg. Included meals: Dinner. Full Day Itinerary: Arrive today in Johannesburg, South Africa's largest and most populous city. Upon arrival at OR Tambo International Airport, you will be met and transferred to your hotel. En route, enjoy a panoramic orientation tour of this cosmopolitan city, affectionately referred to as "Jo'Burg" or "Jozi" by the locals. Check-in at your hotel and enjoy the balance of the day at leisure. This evening, get to know your fellow travelers during a welcome dinner with wine. Full Day Itinerary: This morning, learn more about South Africa's turbulent past and its unwavering hope for the future. Begin with Liliesleaf Farm, once the headquarters of the military wing of the ANC. Here you will experience a first-hand account of the time when Nelson Mandela lived under an alias, and the events and circumstances leading up to the raid which ultimately led to his trial and incarceration on Robben Island. Then, continue on a fascinating tour to Soweto (short for Southwestern Township), a sprawling metropolis on the outskirts of Johannesburg for a close-up look at daily life in this bustling neighborhood, the largest black urban settlement in Africa and center of political campaigns aimed at the overthrow of the apartheid state. On the way, drive through the residential suburb of Rivonia, continue past the Hector Pieterson Memorial, Regina Mundi Church, where many secret underground meetings took place, and the former residence of Nobel Peace Prize Winner, Nelson Mandela. Later, visit the Apartheid Museum for an in-depth historical look at the system of extreme racial segregation that plagued South Africa from 1948 until 1994, when it was finally dismantled. Return to your hotel in the late afternoon. Accommodations: 2 nights Shiduli Private Game Lodge or similar, Karongwe. Included meals: Breakfast & dinner. Full Day Itinerary: Depart Johannesburg this morning for a scenic drive to your lodge, located in the Karongwe Private Game Reserve. The Reserve teems with an abundance of game, wildlife, and diverse vegetation. After check-in, you'll have some time to freshen up before an afternoon game drive. Return to the lodge in time for dinner. Full Day Itinerary: After a very early morning wake-up call and a fresh cup of coffee or tea, served with rusks, a traditional South African biscuit, head out in open safari vehicles for your game drive into the African bush in search of the Big Five - lion, leopard, elephant, rhino, and buffalo - as well as some of the smaller fascinating creatures such as chameleons, scrub hare, and more. Return to the lodge for a full breakfast. Later, set off on foot for a bush walk with your experienced ranger, who will teach you some bush skills such as animal tracking as well as bird and plant identification. Return to your lodge to relax and enjoy the facilities. 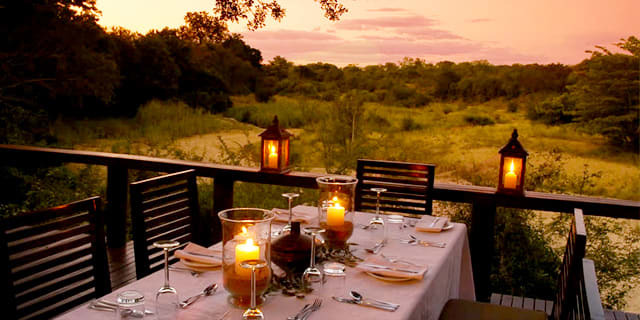 Accommodations: 2 nights Protea Hotel by Marriott Kruger Gate or similar, Kruger National Park. Included meals: Breakfast & lunch. Full Day Itinerary: After breakfast, relax on a scenic journey through the Limpopo province. 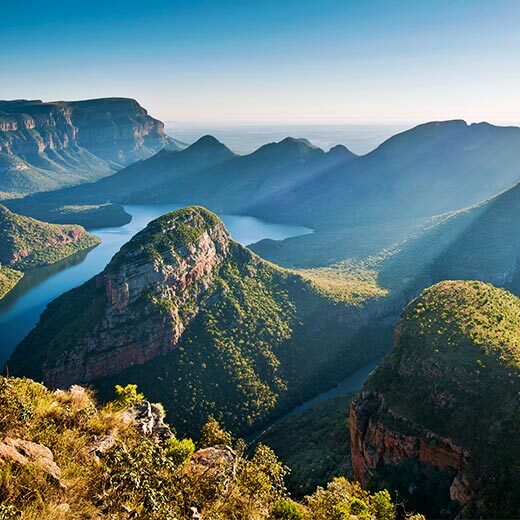 Stop for breathtaking views of rolling mountains, verdant valleys, the Three Rondavels, Bourke's Luck Potholes, and God's window and pass through Graskop and the Blyde River Canyon, one of the world's largest canyons. En route, enjoy lunch at the ever-popular Harries Pancakes. Continue to your hotel, located just outside the Kruger National Park. On arrival, check-in at your hotel, and take some time to relax in the beautiful surroundings. Full Day Itinerary: After an early morning wake-up call, depart for a morning safari in open 4x4 safari vehicles into the Kruger National Park, one of the world's most famous game reserves. You'll see the ever-present impala, and be on the lookout for wildebeest, zebras, giraffes, and many other types of antelopes. Return to your hotel for a full breakfast. This evening enjoy a special Boma Dinner. Accommodations: 4 nights Taj Cape Town or similar, Cape Town. Included meals: Breakfast. Full Day Itinerary: After breakfast, leave the bush behind as you transfer to the airport for your flight to Cape Town, a beautiful jewel nestled between stunning Table Mountain and a dramatic coastline. Cape Town is a modern, bustling and vibrant city boasting gorgeous scenery, fabulous restaurants, hotels and beaches, bursting with history and culture. Upon arrival at Cape Town's airport, you will be transferred to your centrally located hotel. Enjoy the remainder of the evening at leisure. Full Day Itinerary: This morning, enjoy a panoramic tour of Cape Town showcasing the scenic and historic highlights of this vibrant city. Weather permitting, you'll travel by cable car to the top of Table Mountain, Cape Town's most striking landmark and recently announced one of the world's New Seven Wonders of Nature. Continue through the Malay Quarter (Bo-Kaap). Lined with brightly colored houses and decorative mosques, this historic neighborhood was founded by former slaves from Malaysia whose Islamic culture gives the area a distinct character and contributes to Cape Town's rich cultural diversity. The final stop on your tour is the lively Cape Town Waterfront, where numerous restaurants and entertainment options abound. Spend the rest of the afternoon at leisure to become better acquainted with Cape Town or join an optional excursion to the Stellenbosch Winelands. Optional Excursion: Half Day Stellenbosch Winelands, $75 per person.Enjoy an optional half day excursion to glorious Stellenbosch, located in the heart of the Cape Winelands. Take a leisurely drive through this beautiful, world-renowned region, before venturing into the wine-making process in a fascinating cellar tour with wine tasting. Then explore fine art galleries, architecture, history, and quaint shops in the region. Full Day Itinerary: A full day excursion to Cape Point begins this morning with a cruise along Hout Bay, where you'll see the seals of Druiker Island. Enter the nature reserve that covers the southern part of the Peninsula, and drive through the unique scenery towards Cape Point. Travel by funicular railway to Cape Point where you can take in stunning views of the Cape of Good Hope. After lunch, make a brief stop to visit the African jackass penguins at Boulders Beach, and then continue to the Kirstenbosch Botanical Gardens, where you'll have a magnificent display of indigenous South African flora. Return to your hotel late this afternoon and spend the remainder of the day at leisure. Enjoy a farewell dinner and drum performance. Optional Excursion: Full Day Walk to Freedom Tour, $95 per person. 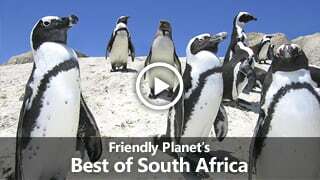 Experience the wonderful energy of Cape Town's townships in one unforgettable tour. Start with a visit to the oldest township, Langa. Stop by a local "shebeen" (pub), to get a glimpse of local life. Then head to Khayelitsha, the largest township of the Western Cape. In the afternoon, visit Robben Island, where Nelson Mandela was imprisoned for 18 of the 27 years of his incarceration. Note: Ferry tickets to Robben Island are limited and may not be available locally. We strongly recommend prepaying for this optional excursion. This evening, join your fellow travelers for a farewell dinner and drum performance. Why not take advantage of your already-included international airfare to visit Victoria Falls, one of the world's most spectacular natural wonders. You'll depart from the U.S. 3 days before the departure dates shown. Accommodations: 3 nights Victoria Falls Safari Club or similar. 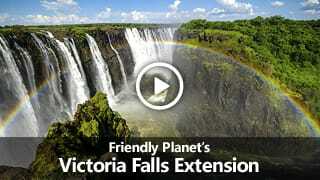 Full Day Itinerary: Today, arrive to Victoria Falls. You'll soon discover why this UNESCO World Heritage Site is considered one of the greatest natural wonders—and the largest curtain of falling water in the world! Check into your award-winning safari lodge, located high on a plateau bordering the Zambezi National Park. Enjoy the remainder of the day at leisure at one of the hotel swimming pools or game-viewing platforms. Elephants, buffalo and other wild animals often graze on hotel lawns. 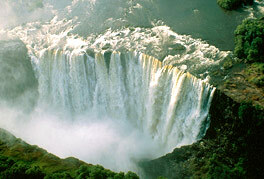 Full Day Itinerary: Your exploration of the falls begins with a guided tour of the Zimbabwe side. Located at the border of Zimbabwe and Zambia, Victoria Falls consists of numerous falls separated by islands in the river below. 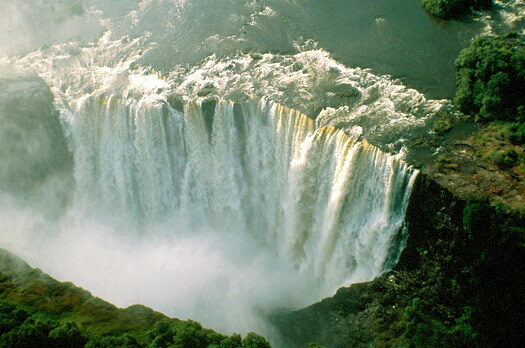 The Zambezi River spills more than 2 million gallons per second over the Bakota Gorge, casting multiple rainbows and resulting in an awe-inspiring display of raw power unrivaled by other natural wonders. The tremendous roar of the water and the ever-present cloud of spray give the falls their local moniker, "Smoke that Thunders." Later today, you'll have the opportunity to witness a breathtaking sunset while enjoying cruise along the Zambezi River. Be on the lookout for hippos, monkeys, elephants, and crocodiles that frequent the waters and the surrounding areas. Full Day Itinerary: Enjoy a full day at leisure to explore this magnificent natural wonder on your own on the well-marked trails through the rainforest that wind up to and around the falls. The trails allow for excellent picture-taking from a variety of vantage points (be sure to protect your camera if it's not waterproof). There are a wide range of optional excursions available locally on request basis including game drives, walking safaris, bungee jumping, and more. We recommend the full day tour of Chobe National Park in Botswana. 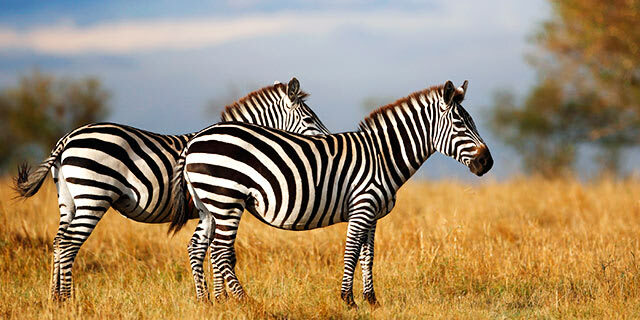 Optional Excursion: Chobe National Park, Botswana, $170 per person. Take advantage of an optional full day excursion to the Chobe National Park in Botswana, renowned for its large elephant population. Begin the day with a safari boat cruise on the Chobe River. Afterwards, enjoy lunch at the Chobe Game Lodge and end the day with an afternoon game drive in an open vehicle. This excursion requires a passport and double or multiple entry Zimbabwe visa. Accommodations: 1 night La Plume Guest House or similar, Oudtshoorn. Included meals: Breakfast & dinner. Full Day Itinerary: After breakfast, depart Cape Town and travel through the "Little Karoo" and Montagu, a picturesque and historic spa town. En route, stop in the town of Barrydale and have the opportunity to visit a local farm school and learn about the local farming community. Continue to Oudtshoorn, the center of the world's ostrich farming industry. Note: The school visit is subject to the school being open. Accommodations: 2 nights Rex Hotel or similar, Knysna. Included meals: Breakfast & lunch. Full Day Itinerary: This morning, explore the spectacular limestone caverns of the Cango Caves, one of the world's great natural wonders, sculpted by nature through the ages. Return to Oudtshoorn for a tour of an ostrich farm, followed by a light lunch. Continue to the scenic Outeniqua Pass to George, the administrative hub of the Garden Route area and onto Knysna, known as the oyster box of South Africa, nestling on the banks of a beautiful lagoon in the heart of the Garden Route. Full Day Itinerary: Head out this morning for a relaxing lagoon cruise to the Featherbed Nature Reserve. Ride to the top of the Western Head for panoramic views of the town and lagoon. Enjoy a picnic lunch under the Milkwood trees. Return to Knysna for an afternoon at leisure to further explore this charming town set around a natural harbor lagoon. Accommodations: 1 night Garden Route Game Lodge or similar, Albertinia. Included meals: Breakfast & dinner. Full Day Itinerary: After a leisurely breakfast, travel via George and Mossel Bay to Albertinia, a town set against the backdrop of the majestic Langeburg Mountain Range. Enjoy an afternoon open vehicle game drive, at a game reserve that is home to an abundance of wildlife, including the Big Five. Accommodations: 1 night Misty Waves Hotel or similar, Hermanus. Included meals: Breakfast & dinner. Full Day Itinerary: Your safari adventure continues with an early morning open vehicle game drive for another chance at sightings of the Big Five, general game and prolific bird life. Leaving the bush behind, continue to the picturesque Cape Dutch town of Swellendam. This charming town was founded in 1745 and is famous for its youngberries, eclectic architecture and National Parks, as well as outdoor activities. Proceed to the seaside resort town of Hermanus, known as the heart of the whale route, offering the best land based whale watching in the world from June through November. Accommodations: 1 night The Taj Cape Town or similar. Included meals: Breakfast. Full Day Itinerary: After a leisurely breakfast, depart Hermanus and travel to Franschhoek, a picturesque village surrounded by spectacular vineyards, where French Huguenots settled more than 300 years ago, bringing with them their age old French wine and food culture. Wander through Franschhoek village, while your guide tells the fascinating history of the French Huguenots and the Huguenot Memorial Museum. Depart Franschhoek for Cape Town arriving later today for a final evening at leisure in South Africa. 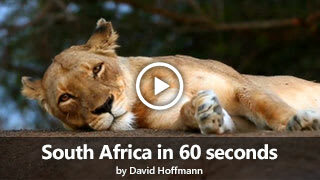 What should I know about South Africa? Check out our guide for travel tips, the best time to go, blog posts, videos, and more. What should I know about Zimbabwe? Check out our guide for travel tips, the best time to go, blog posts, videos, and more. What should I know about Botswana? Check out our guide for travel tips, the best time to go, blog posts, videos, and more.